The Cosmetic Clutch Large in Pincushion is the perfect bag to hold your belongings at home or on the road. Practical yet elegant and stylish. The Cosmetic Clutch Large in Metallic Floral is the perfect bag to hold your belongings at home or on the road. Practical yet elegant and stylish. The Cosmetic Clutch Large in Bright Floral is the perfect bag to hold your belongings at home or on the road. Practical yet elegant and stylish. The Cosmetic Clutch Large in Jungle Floral is the perfect bag to hold your belongings at home or on the road. Practical yet elegant and stylish. 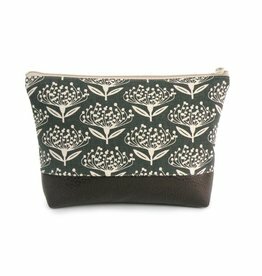 The Cosmetic Clutch Small in Pincushion is the perfect bag to hold your belongings at home or on the road. Practical yet elegant and stylish. The Cosmetic Clutch Small in Bright Floral l is the perfect bag to hold your belongings at home or on the road. Practical yet elegant and stylish. The Cosmetic Clutch Small Jungle Floral is the perfect bag to hold your belongings at home or on the road. Practical yet elegant and stylish.